The fastest growing manufacturer of confetti products and special effect machines is based in The Netherlands. 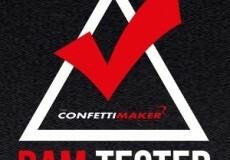 All products are made under the brand THE CONFETTI MAKER which has a strong reputation for quality. The products are designed and produced in accordance with European quality standards. THE CONFETTI MAKER controls the complete production process in its own factory based in The Netherlands. Because of a major stock level THE CONFETTI MAKER is able to deliver any quantity for low prices directly from stock. 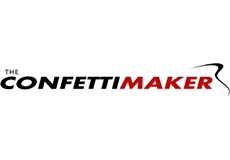 THE CONFETTI MAKER serves special effects professionals all over the world and supplies products directly or through its sales network of distributors. 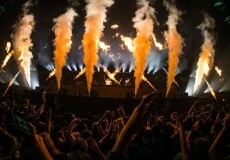 THE CONFETTI MAKER products are being used at many large events and concerts from famous artists. Last weekend Afrojack celebrated his 30th birthday in Ahoy Rotterdam with international names as Dimitri Vegas & Like Mike, Hardwell, Lil Jon, Laidback Luke and many more. The TCM Shooters have been tested according to the requirements of "Special Provision 371" of the UN Recommendations and are now BAM certified.